2018 The Kiwanis Club of Issaquah donated $50,000 back into the community! 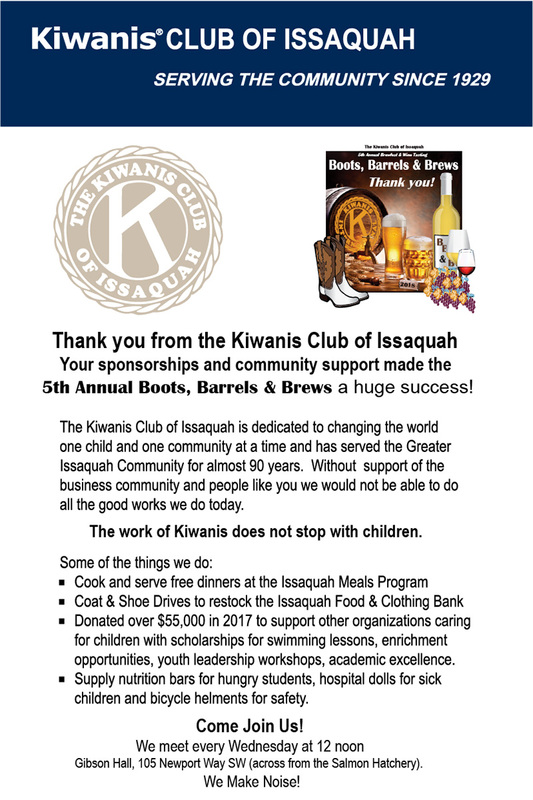 Welcome to the Kiwanis Club of Issaquah! The Kiwanis Club of Issaquah, has been serving our community since 1929. As a group, we can achieve what individuals cannot do alone. To learn more, join us for a fun and informative meeting any Wednesday at noon! KIWANIS- Let us make noise and have fun serving, "ONE CAN MAKE A DIFFERENCE one child and one community at a time. "Enjoy your service" to the community! 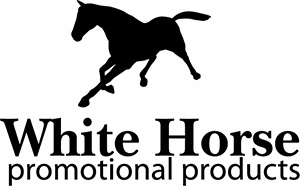 Please RSVP to tori@whitehorsepromos.com if you plan to attend. Meeting is from 12:00pm to 1:00pm Thank You! 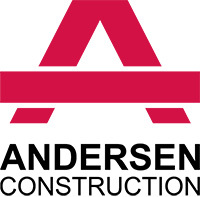 Except for our monthly business meeting, we regularly invite guest speakers from the community to present to the club from 12:30 to 1:00PM. These programs are open to the public. If you're interested in being a guest speaker, please contact us. Aktion Club is the only service club for adults with disabilities, with more than 11,000 members worldwide. Aktion Club of Salmon Country is sponsored by the Kiwanis Club of Issaquah and ATWork! Key Club is the oldest and largest service program for high school students. It is an international student-led organization which provides its members with opportunities to provide service, build character and develop leadership through serving others.